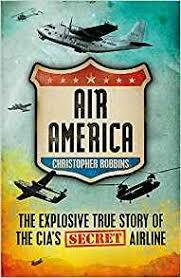 Here is the incredible inside story of the world’s most extraordinary covert operation – Air America, a secret airline run by the CIA, which at its height had the biggest commercial airfleet in the world. First published by Macmillan (UK) in 1979. Paperback reissue by Orion in 2012. E-book reissue by Apostrophe Books in 2012. Daily Press, Newport New, VA.